GlaxoSmithKline the British pharmaceutical giant announced on Tuesday that it was stopping its payments to doctors who speak on behalf of the company. GSK also announced that pay for sales representatives would not be tied to how many doctor’s prescriptions were written. The move by the British drug maker ends two industry practices that had been heavily criticized. GSK announced it would no longer pay doctors to make speeches about its drugs or what types of diseases the drugs treated. Influencing prescriptions has been a long time practice in marketing and sales across the entire pharmaceutical industry. The British firm also said it would no longer pay doctors to attend medical conferences. GSK said that pay to sales representatives would be tied the quality of sales given by sales reps and the overall business of GSK rather than prescriptions being signed. The company said its changes were not tied to its current investigation by Chinese authorities. The authorities accused GSK this summer of bribing hospitals, doctors and officials from the government as an effort to sell additional drugs at much higher prices. 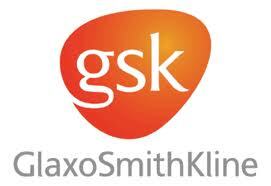 GSK said its goal is to have a new plan for compensation for sales rolled out across the globe by 2015. The change in payments to doctors is expected to go into full effect across the globe by sometime in 2016. The changes will not affect the payments paid doctors for participating in market research. Drug makers are now facing criticism over the tactics they us in promoting medicines. Critics say that has led to prescriptions that are technically harmful and unnecessary. Amongst the targets criticized were the payments to doctors, especially those to respected doctors who are key leaders in opinions. In the United States, many major drug makers agreed this week to pay billions to settlement allegations to the government for illegal marketing. As part of that deal, GSK agreed it would end its practices in the U.S., of paying its representatives based on prescription numbers. In addition, the drugs in companies are changing. Older drugs prescribed by a primary-care doctor that relied more on industry marketing to learn more about the medicines, have slowly been replaced by specialist medicines.